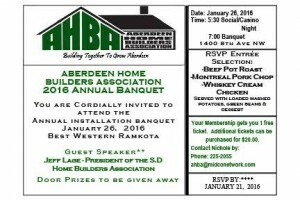 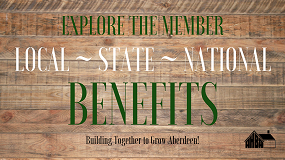 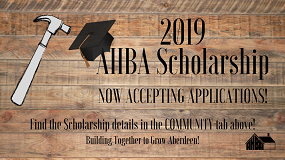 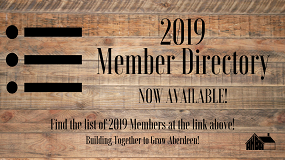 Attention all current and new Aberdeen Home Builders Members: the Annual Banquet will be taking place Tuesday, January 26th at the Best Western Ramkota. 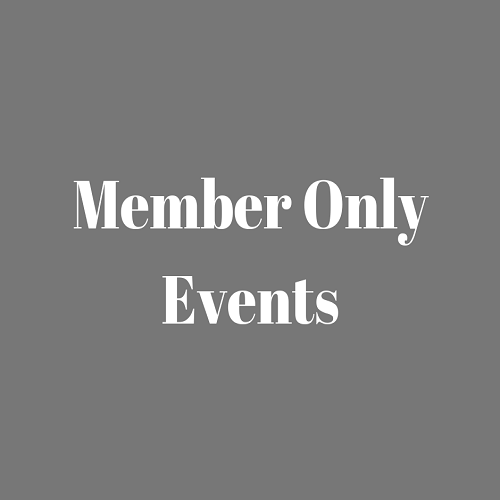 Enjoy an evening of fun with a cash bar cocktail hour, casino night, and over-the-top door prizes. 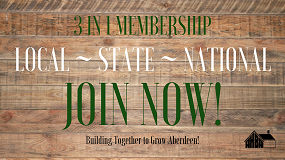 Please join our guest speaker, the new South Dakota State President, Jeff Lage, for an unforgettable evening. 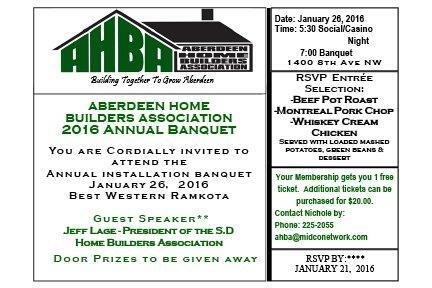 Please RSVP by Thursday, January 21st to secure yourself a spot for amazing door prizes and a delicious meal.